It has become a tradition in my household to have Gateau roule au chocolat for our Christmas dessert. 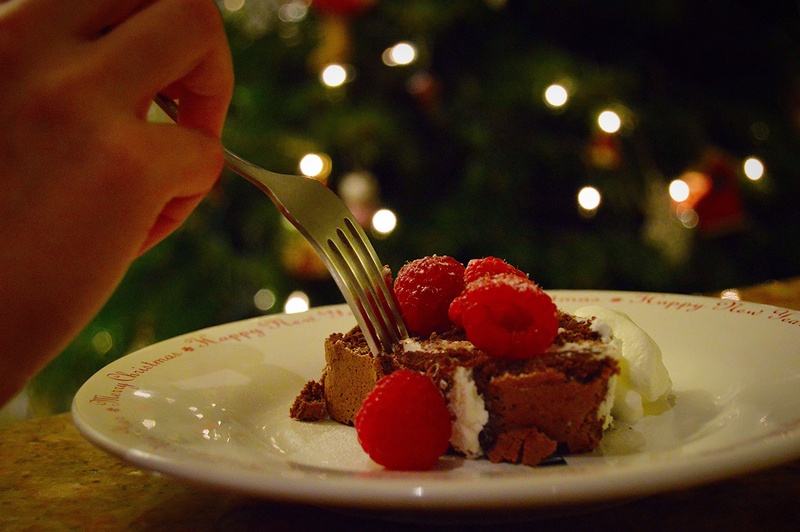 When I was younger, one of my friends always ate Buche de Noel or Yule Log cake, which is a log shaped cake from France, for Christmas. 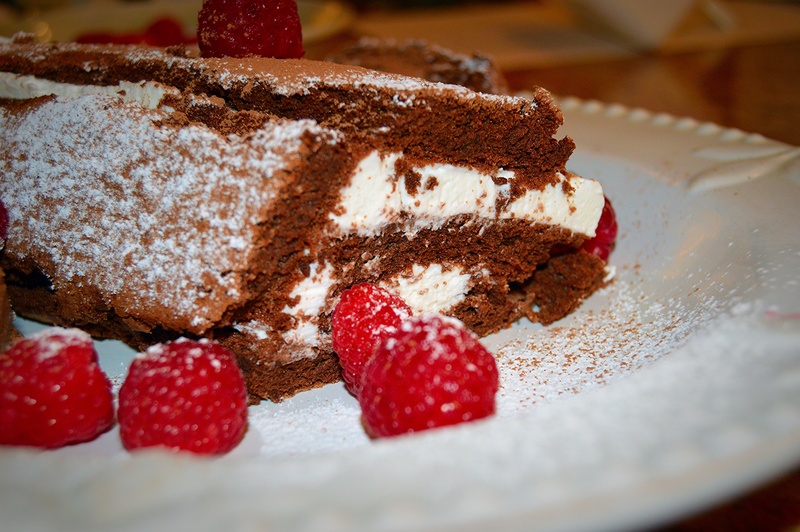 I was fascinated by this sweet delicacy and several years ago I found a Gateau Chocolat recipe that was similar to Buche de Noel. My husband makes it for our Christmas Eve dinner every year and it is absolutely delicious. 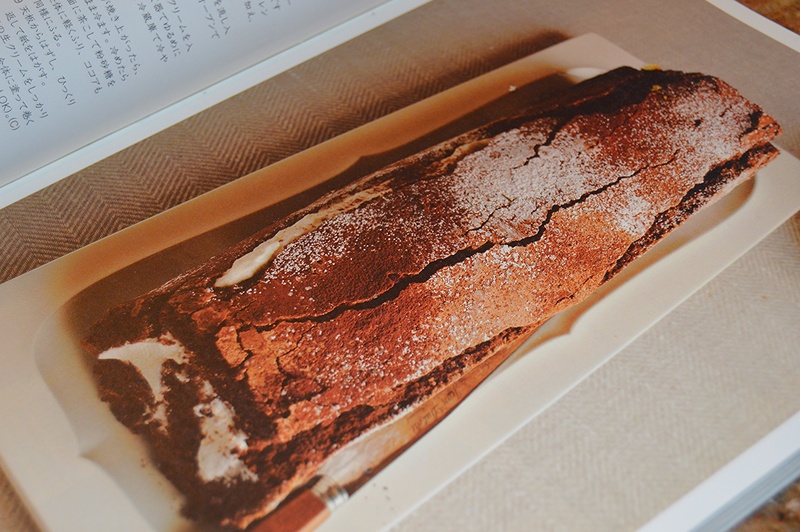 The outside is a chocolate sponge that is rich and moist. The rolling of the chocolate proved challenging, but the cracks actually made it look more like tree bark. The cream that we put inside the chocolate is light and airy with a melt-on-your-tongue texture, and since it is not super sweet, it makes a nice contrast with the chocolate. Some raspberries on the side give a nice pop of color, and a dusting of powdered sugar is the perfect final touch to a perfect Christmas luxury. 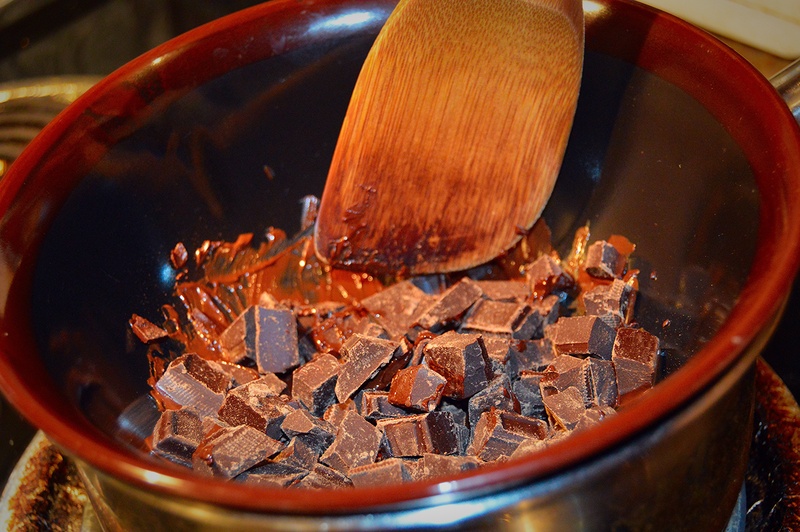 First, melt the chocolate in a pot. In a separate bowl, add the egg yolks and 120 g. of the granulated sugar, and mix. In another separate bowl, add the left over sugar and the egg whites. Whip until it stands in stiff peaks. 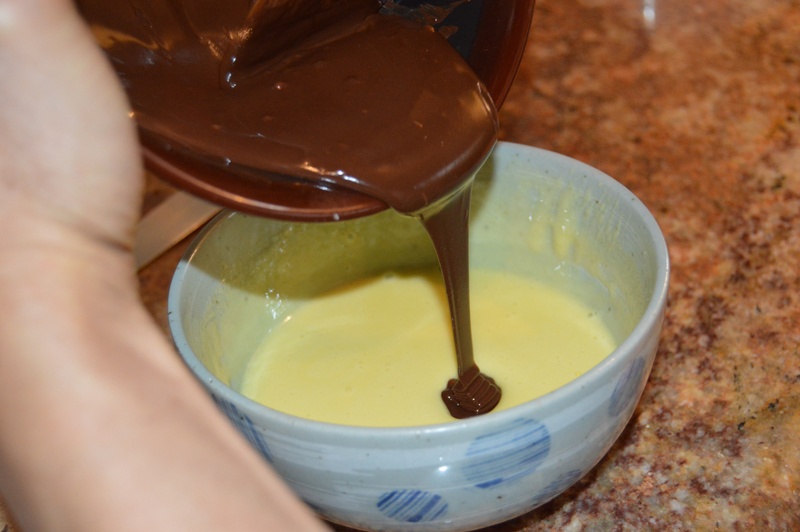 Next, add the melted chocolate and the egg white bowl contents into the egg yolk bowl, and mix. Pour into a flat mold pan and bake in a 355 F. degree oven for 20 minutes. 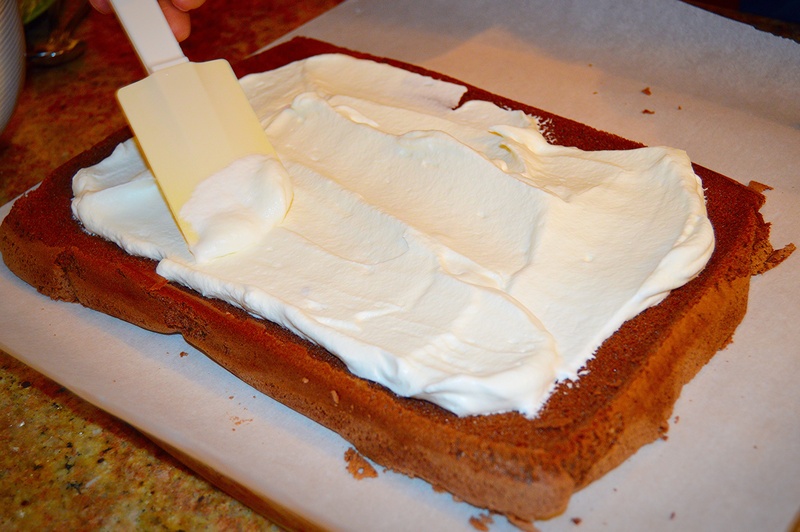 While the mixture is baking, make the whipped cream by whisking the heavy cream with an optional amount of sugar, for the filling. Once the chocolate mold is done, let it cool. Smear the cream on the chocolate, and roll it up. Then, cut and serve with powdered sugar, raspberries, or anything else you would like.